The third anniversary celebration of “Junior Three Kingdoms”, themed “Junior π”, took place in Lijiang, Yunnan Province on January 18, 2018. Yoozoo Games Vice President and Executive Producer of Junior Games Cheng Liangqi, Yoozoo Games Vice President Li Bo, “Junior Three Kingdoms” producer Kong Hao and Yoozoo Films CEO Yi Jianmei were in attendance, promoting the gaming IP and helping to launch the Junior Project with well-known director Wang Guangli. Particularly noteworthy was the fact that the celebration’s theme of “Junior π” contained the symbol for the ratio of a circle’s circumference to its diameter. 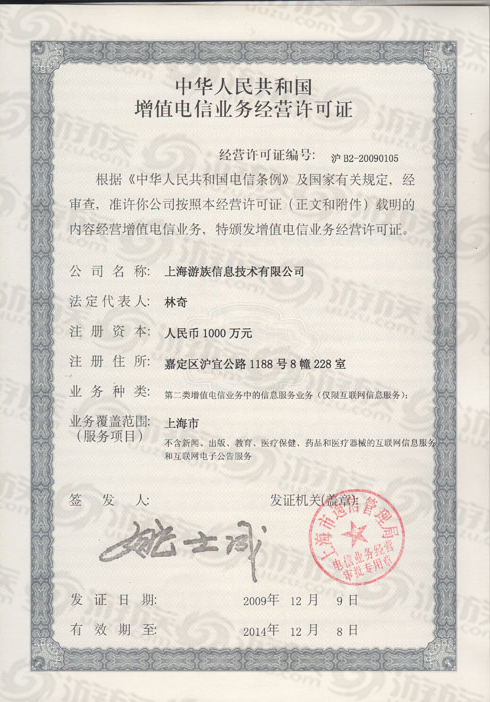 With the goal of "making your own classic" in mind, “Junior Three Kingdoms” involved Han Sanping (former chairman of China Film Group), famous screenwriter Shi Hang, and popular traditional Chinese music artist Xiao Yiqing in building the IP, creating the game’s story and producing the game's music, in the hopes of inspiring youths to make their own classics on an endless loop, evoking the meaning of the symbol π. At the event, Cheng Liangqi articulated that the unique characteristics present in Chinese games from the very beginning led to the current explosion. Years of exploration and development from that core were required for a game to be elevated to classic status. “Junior Three Kingdoms” has been exploring and developing for three years, and is on the verge of becoming a classic game. What started off as a simple card game based on the Three Kingdom era has sprouted into something far greater and led to new ways to evolve an IP. In Cheng’s view, “Junior Three Kingdoms” is well on its way to becoming a classic. 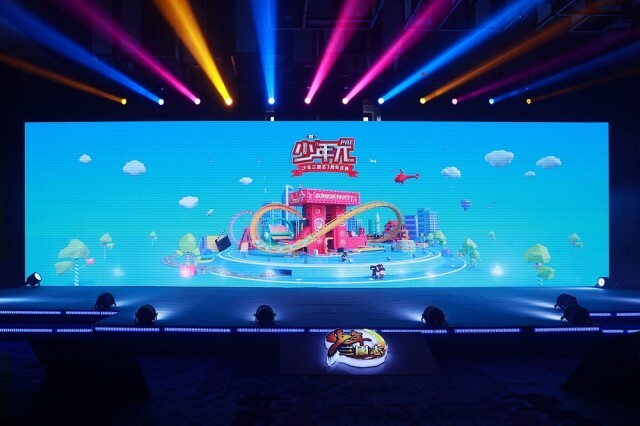 Currently, “Junior Three Kingdoms” has surpassed $4.1 billion in total transactions in its nearly 3 years online, and has met the annual goal of $1.2 billion three years in a row. It has over 100 million registered users worldwide and a 95% user-retention rate circa the summer of 2017. Very few mobile card games can match up to “Junior Three Kingdoms” in those statistics. With interest showing no signs of waning entering the fourth year, the game definitely has legs. Mr. Kong attributed the success to the team listening to the feedback from new and old users, then tailoring the contents accordingly. Based on statistics, the game created 12 major expansion packs, averaging one per month, that specifically targeted veteran users; initiated 2 mass-scaled art revisions, including optimizing over 500 images in IU; designed regular tutorials for new users; optimized scenario prompts and storylines; plus implemented system and data modifications. Only through such intricate work could the best gaming experience be guaranteed for old and new users alike, while retaining a high rate of returning players. As the journey begins in 2018, “Junior Three Kingdoms” plans to elevate itself to classic status through a platform-oriented model in China. 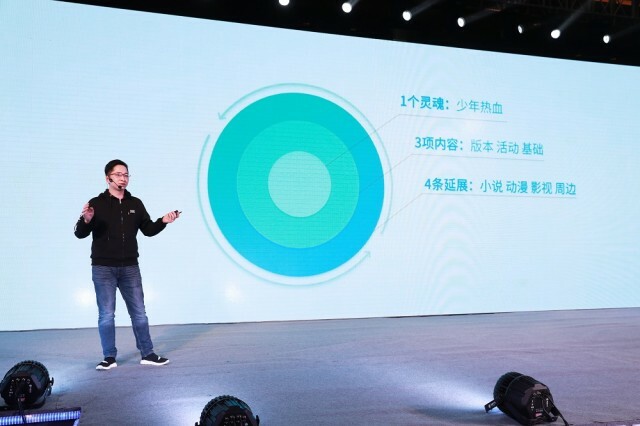 Mr. Li Bo announced live that the Junior Project will streamline the pipeline between players, the game and the market to deliver all information and content at the highest possible speed, leading to a high rate of interaction and popularizing the IP by thinking like young players. 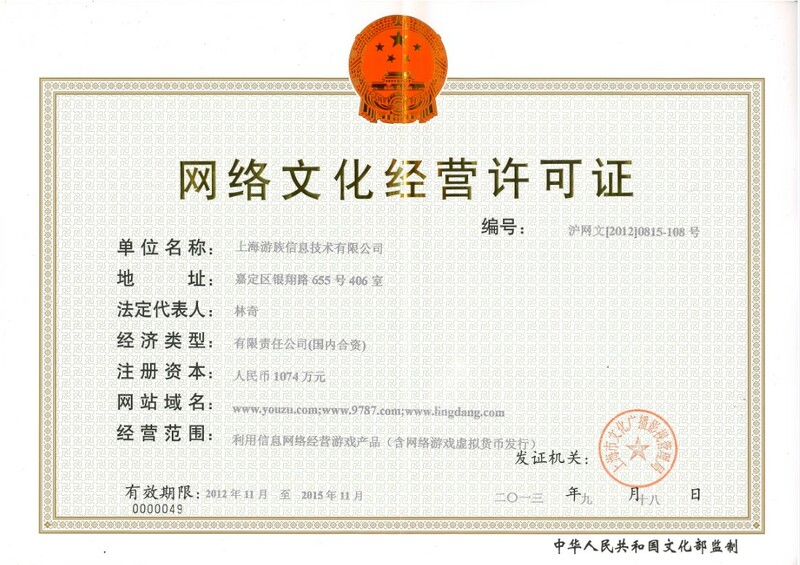 In addition, the Junior Project revealed three major plans: Fantasy Three Kingdoms, Founders of Three Kingdoms and a web series, as well as forming a league for Three Kingdom fans to promote the IP with the developers. Junior Three Kingdoms proudly boasts Shi Shang, the screenwriter of “The Bronze Teeth”, as the chief world architect for all Three Kingdom projects. He promises to inject some humor into the Three Kingdoms universe. 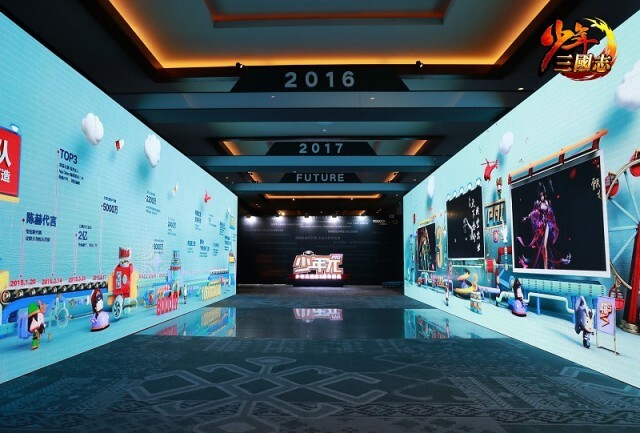 The Junior Project is expected to popularize IP-based entertainment and continue to invigorate youth culture. 90% of young people today follow shows online. The Internet is their primary source for entertainment. 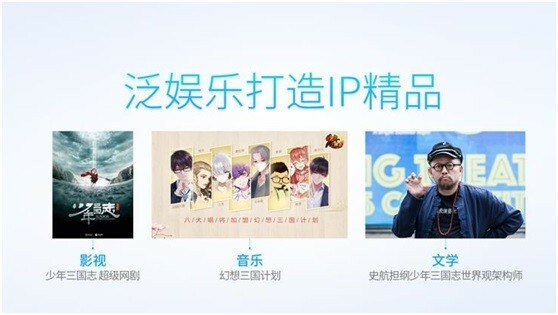 Therefore, Junior Three Kingdoms has chosen web series as the format to launch the IP’s transmedia phase. Yoozoo will reportedly handle all productions of the series. 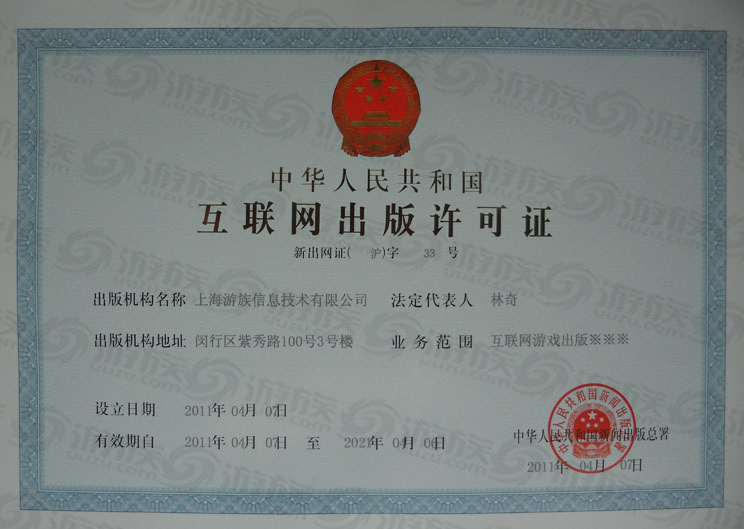 Ms. Yi Jianmei has taken a personal interest in the project, vowing to deliver an all-time classic. The Junior IP cycle will officially begin in the fourth year and perpetuate endlessly, sticking to the theme of π.